From January 9 to 23, the Keimyung Volunteer Group visited Colombia. It is highly meaningful that not only is it the first time to visit Colombia but also that Colombia is the only combatant nation of the Korea war in Latin America. 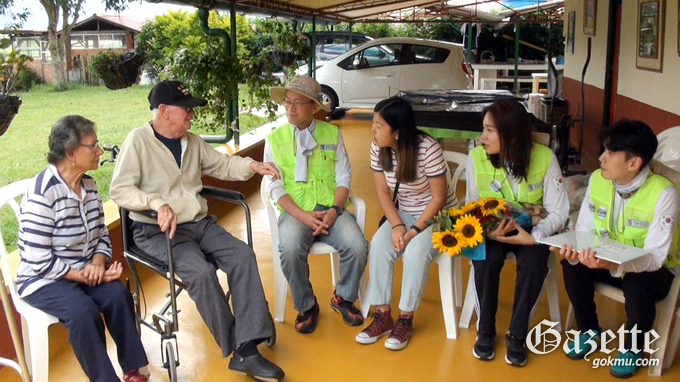 The group visited a man named Gonzales who is a Korean war veteran and he gave a warm welcome to the visiting students. Also, students created playgrounds at school, painted the murals, and also provided education services such as Korean language education, taekwondo, and K-Pop. Keimyung University's volunteer work in Colombia has not only served but also played a prominent role in civilian diplomacy. Kim Doo-shik, the Korean ambassador to Colombia, also invited students to the embassy and welcomed them.